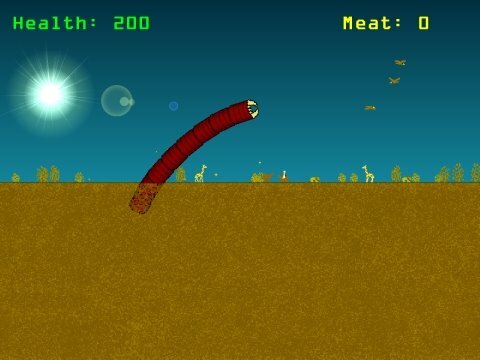 Death Worm is an action game by JTR in which you assume the role of a large creature with an appetite to match it's size. Hold the up arrow key to accelerate, and use the left and right arrow keys to change directions. Vehicles can be launch into the air when approached at the right angle. Consume food to increase health. A similar effort by Unc1354m can be found at the Experimental Gameplay web site.